'Elizabeth Ann Webster' was the first Stevenson beamer to fish out of Newlyn. She was originally a MFV (Motor Fishing Vessel) built during wartime. People who lost boats during the war were given the chance to buy MFVs after the war ended to compensate for their loss. 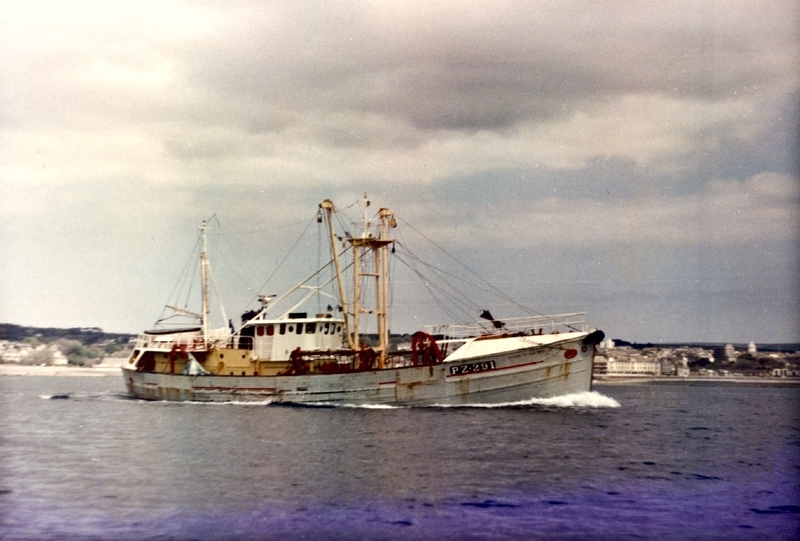 Billy Stevenson, “'Elizabeth Ann Webster', Fishing Boat, 1974,” cornishmemory.com, accessed April 24, 2019, http://cornishmemory.com/item/STE_1_005.